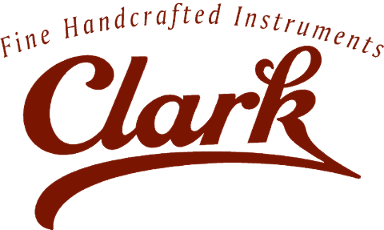 At Clark Mandolins, I believe the definition of craftsmanship includes great design, artistry, and execution. I take great pride in creating each instrument with care and skill to produce mandolins and guitars that are both visually attractive and sound their best. As a full-time, one-man shop based in Boise, Idaho, I have spent more than 10 years building and repairing mandolins and guitars. Using the finest quality wood, materials and traditional building methods, I strive to build a fine handcrafted instrument that will give the professional musician an instrument with the power, dynamics and tone that they need and want. Additionally, it will give the hobbyist an heirloom quality instrument with the playability needed to inspire their musical development. 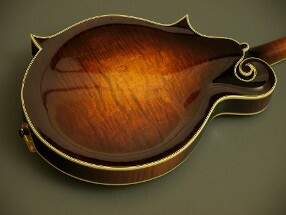 Using traditional methods of construction, my American-made mandolins feature high-quality wood chosen carefully for optimal sound and visual beauty. Each instrument comes with a number of standard features and is fully customizable to your tastes and unique needs. 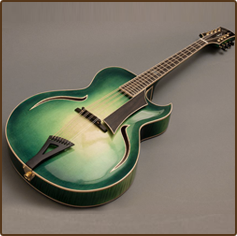 Find out how to order your own custom-made mandolin or guitar. Materials and workmanship are guaranteed for my working lifetime. 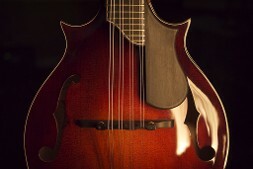 Take a look at the different styles of mandolins offered. In addition to having a great-sounding instrument, you get an elegant work of visual art.